How to view the tooltip when segment is underneath the axis line? This article describes how to view the tooltip when segment is underneath the axis line. 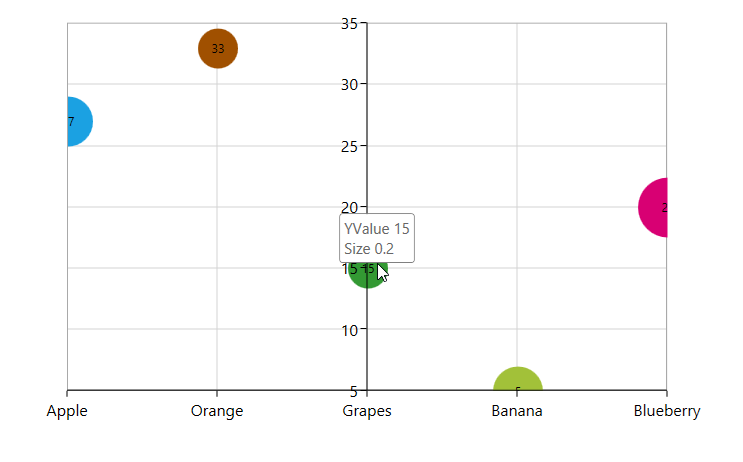 When the axis is moved into the chart area by using the Origin and ShowAxisNextToOrigin properties, any segment can be rendered near/underneath this axis, and the tooltip for that segment is not viewed. To view the tooltip, set the IsHitTestVisible property to False for that axis as shown in the following code example. Figure 1: Tooltip displayed when segment is underneath the axis line.